One of the niche services we offer is optimization for SEO Malta, actually, we are able to rank websites not just locally, but anywhere. As a service provider in the Maltese islands, you’ll want that your website ranks at the very top of search engines either on Google Malta or other search engines, locally or internationally as necessary. At Switch, we have a proven track record of boosting Google rankings for sites we work on, to improve leads and sales for our clients. While this is desirable for most of our clients, actually getting a site to rank requires a strategy, with a long-term view using multiple facets, which is individually tailored to each client which we take. SEO in Malta requires a deep understanding of the SEO landscape, particularly how your website needs to be optimized for what is known as local search engine optimization. Google’s algorithm’s today take such stuff as location, business rating, engagement, user intent and user satisfaction and other signals to determine the ideal rankings for a specific query. At Switch, for our SEO services, we use proven cutting-edge techniques which work and are able to give search engines all the required signals to dominate Malta SEO. Have a look at our process. Both new and old websites tend to accumulate a lot of problems when it comes to search engine optimization. 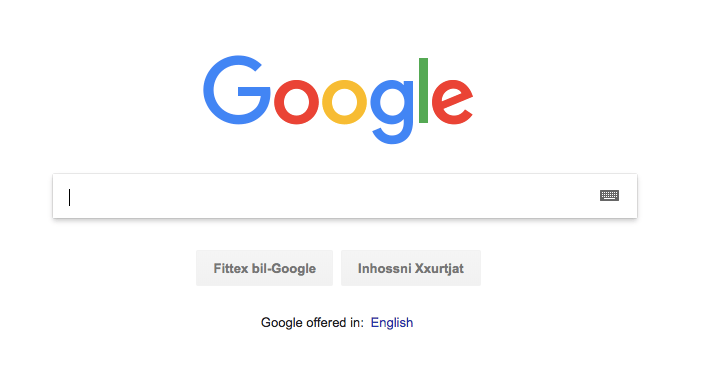 Whether you have been a victim of a cheap SEO service provider, suffering a hacking or malware problem, or due to your web designers/developers having insufficient knowledge when it comes to the correct way to structure a site correctly for rankings, we need to discover what might be holding your website from ranking for your desired keyword queries in Malta. Our first phase is performing a full audit of your site pages, to discover any issues and clean up any problems which are stopping your website from achieving the right results. Once we have fixed any current issues with your website, we run a full exercise of discovering the ideal search phrases which you need to rank for, so that we can plan a strategy accordingly, to be able to perform the right SEO for Malta. Using the results of the above exercise, we can plan all the different tasks required to achieve the top positions for the identified search engine queries. The next phase of our SEO for Malta includes doing an exercise of what is called on-page optimization. This essentially means tweaking the pages of your site, such that it is clear to search engines what keywords you are trying to rank for. Our experience in doing this allows us to perform the right dose of changes which will give the correct signals, without going overboard, where the SEO starts to become harmful, instead of beneficial. Our final phase of optimization includes creating the necessary ancillary services around the website which are required to rank specifically for Malta, or Malta-related queries. This includes such stuff as geo-targeted queries, making sure your location is appearing correctly in all the right services and other fixes which need to be implemented. Once we have laid the foundations, we start on the long-term phase of optimization for search engines in Malta. This typically includes identifying lucrative SEO keywords which are more difficult to achieve and a long-term plan to boost such positions. This typically includes getting the right links pointing to your site, from other websites in related niches. Once again, our experience allows us to achieve results in the shortest time possible without incurring any penalties. As ranking for all of the desired keywords is typically a long-term vision, we also have a number of strategies which can bring leads, website traffic and sales in the short-term. We typically discuss other methods to help the client’s bottom-line, including using paid ads, PPC (Pay-per-click), SEM (Search Engine Marketing), Facebook and Google retargeting and other strategies which can give results with good ROI.